It was an old fashioned weekend. 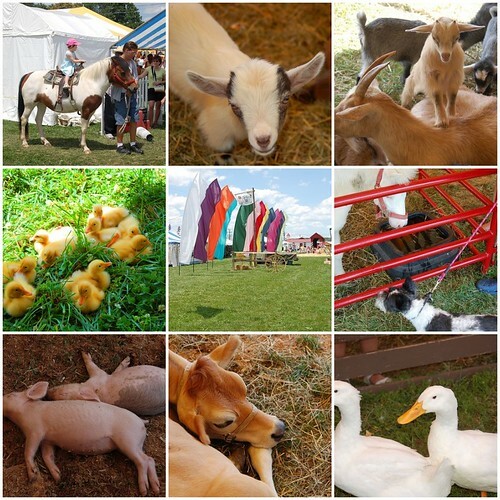 The 'fam' and I headed up to PA to visit my parents and go to the Kutztown Folk Festival. It's become a tradition for us to go every year. 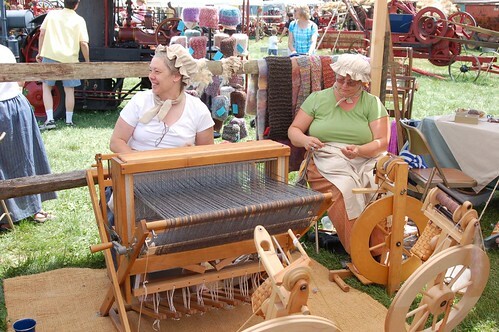 I even managed to find the one booth that had spinning and weaving! I dragged Java man over and made him wait while I ooed and aahed all the handspun fibery goodness. Then... I saw the weirdest thing. Now - don't freak out when you see this ok? The faint of heart may not want to look. They are handknit socks... Made out of Acrylic!!!!!! Now - I'm not a total yarn snob. I have acrylic in my stash. There is a time and a place for acrylic. Socks are never EVER supposed to be made of acrylic in my opinion. 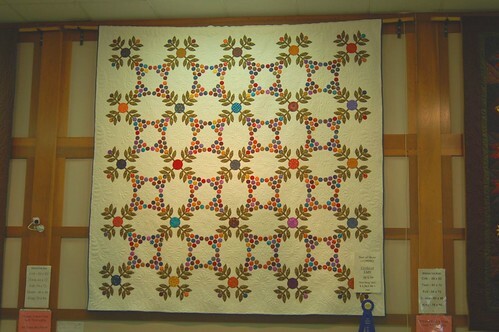 Let's move on to some more fiber related goodness - the quilts! 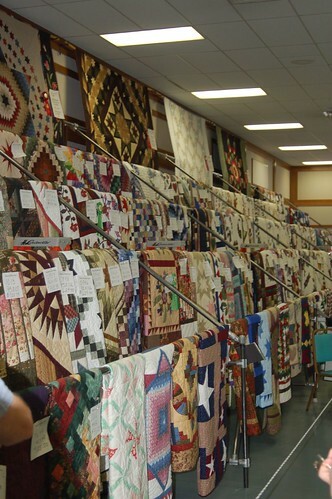 There's also a huge quilting show and contest during the festival and let me tell you - there are A LOT of entries! 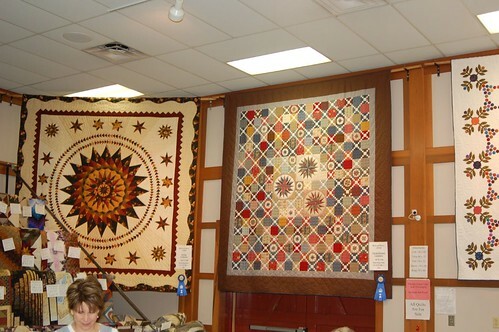 All the quilts entered are also available for purchase with the winning quilts being auctioned off at the end. Most were very traditional - not many - if any - were modern, but they were still very beautiful. 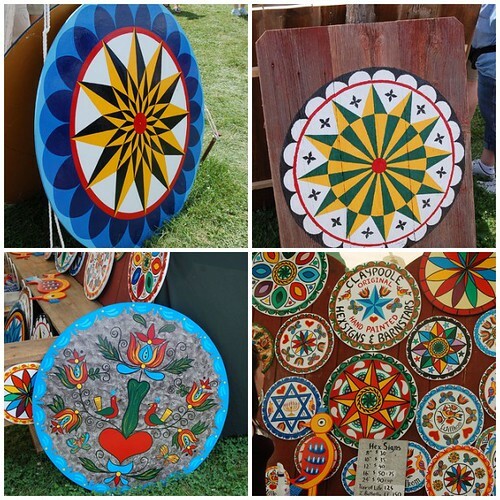 Another typical sight were Hex signs. I saved the best for last. 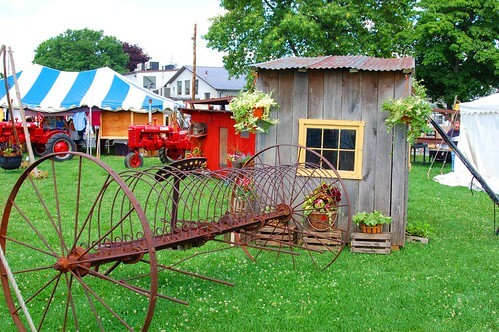 Not only did they have all this great artsy goodness - they also had just about every kind of tractor, engine, plow, and farm tool ever made. We're off to the beach for the 4th of July holiday - so I want to wish everyone a great week - be safe and watch lots of fireworks!! WHO THE HELL HAD IT IN THEIR RIGHT MIND TO SELL ACRYLIC SOCKS MUCH LESS MAKE THEM?!?! What a great post, such a neat place. We're not even going there about the whole sock's of acrylic thing. Have a great time at the beach. 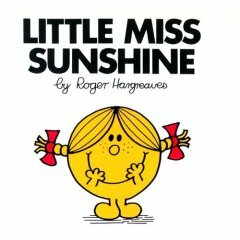 Bring back lots of sun filled pictures for we city folk. Looks like a wonderful festival! I love the signs, and the quilts!! Have a great time at the beach. What a fun time! Acrylic socks - talk about sweaty feet!!!!! Have a wonderful time at the beach....I love the Delaware beaches! That's funny with the socks. 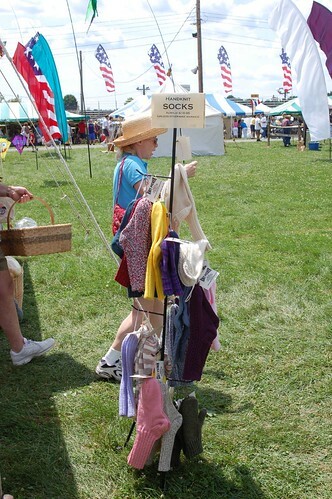 They are selling hand spun wool and acrylic socks at the same booth. Very odd indeed. There's a time and place for acrylic but definately not in regular socks. 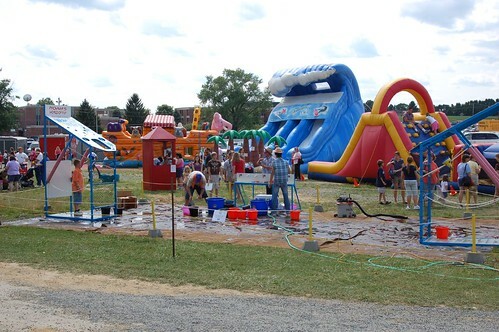 Might have to put the Festival on my calendar for next year. My mother's family is PA Dutch and I could use a family food fix - can't get smearcase down here. Cute windowbox pix thing from flickr, I might have to steal that idea. Wow! What fun! What incredible quilts! Oh, my! Non-absorbent acrylic? I do make acrylic/wool for my Aunt who wants durable easy-care socks.....but 100% acrylic? No way! 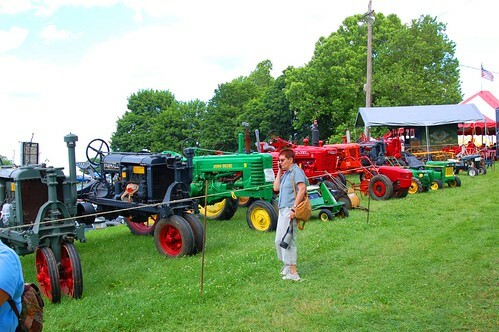 Love the tractors too.....do I see a Farmall there???? Awesome pics...I am so sad I missed it. Damn wedding stuff! !